That Time ‘Will & Grace’ Forgot HIV Exists. Again. The revived Will & Grace television comedy has some pithy things to say about aging as gay men and our need to create families where we find them. The producers of the show, which is already a hit with audiences and critics, seem to think that’s enough. It isn’t. It was understandable, when the show originally premiered in 1998, that it did not mention HIV. It was making history as the first successful sitcom starring gay characters. Besides, the gay community was still picking up the pieces after the devastating first generation of the AIDS crisis, even if successful new medications had begun to slow the death rate. If Will & Grace never mentioned how many friends the tight knit characters had lost to AIDS, well, that was forgivable. We were grateful for the laughs. Only once, in a 2001 episode in which Grace and her boyfriend mention getting an HIV test, was the topic ever addressed. They produced 194 episodes during the original run of the series. The revival of Will & Grace exists in a far different world. 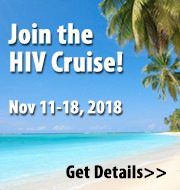 The privileged white gay men who inhabit Will & Grace have access to healthcare and the resources to either take PrEP, the pill that prevents HIV infection or, should they be HIV positive, get on medications that could render them undetectable and therefore unable to transmit HIV to someone else. Neither of these strategies were available or understood when Will & Grace left the airwaves ten years ago. They exist now, and they have transformed the sexual and cultural landscape for gay men in this country. For Will & Grace to have such a blind spot about something this fundamental about gay sexuality and its mechanics, especially now, makes them the comedy cousin of AIDS denialists. It’s not like they don’t have ample opportunity. In the episode that aired on September 28, 2017, Will has a frustrating conversation with a 23-year-old gay man about gay history. “That was like a kabillion years ago,” says the blithe young man. “Everything’s good now.” To his credit, Will decides to lecture the guy about his community history. Will’s lesson to the baby gay reduces LGBT history to Stonewall (fair enough) and the cultural significance of Madonna. Although one might hope Will goes on to explain that gay men have fought for every inch of progress in the AIDS epidemic — including the PrEP pill the young guy could very well be taking — we’ll never know. The scenes fades to black. Ah, but this is comedy, you say. Give them a break. We’re here to forget our troubles. That might make sense if it weren’t for the reason the show was revived in the first place: Donald J. Trump. The ten-minute “get out the (anti-Trump) vote” video that reunited the cast before the 2016 election reignited the show’s popularity and a willingness by fans to see more. In the premiere of the reboot last month, much of the episode took place in the oval office at The White House, with generous digs at its occupant. Donald J. Trump is the most monstrous thing to happen to the LGBT community since Sen. Jesse Helms wanted people with HIV to be quarantined. Trump’s administration has argued in favor of discriminating against LGBT people, cuts in NIH funding for AIDS research, and the slashing of HIV prevention and social service programs. 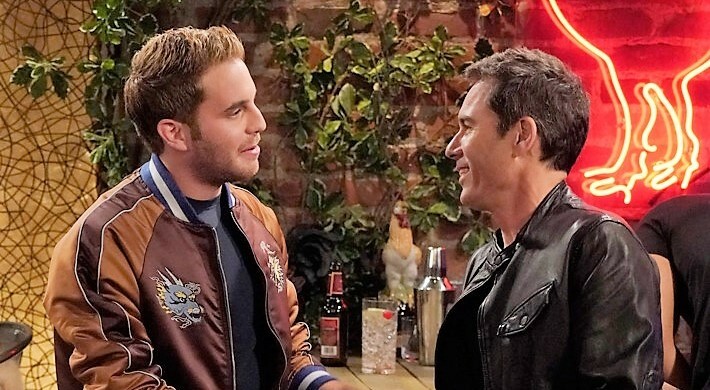 If Will & Grace can cut this fiend down to size, then by God, the show can make a PrEP reference about Will being “on the pill.” And not to push my luck, but wouldn’t Will and Jack have at least one good friend living with HIV? For all its hilarious, real-time references to politics and gay culture, the absence of HIV from Will & Grace feels anachronistic and increasingly jarring. Will & Grace brought gay television characters out of the closet nearly twenty years ago. In its new incarnation, it is time for the show to bring HIV out of the closet as well. The social impact could be every bit as important.